Eggs in a cocktail? Raw? Preposterous! Well, no. 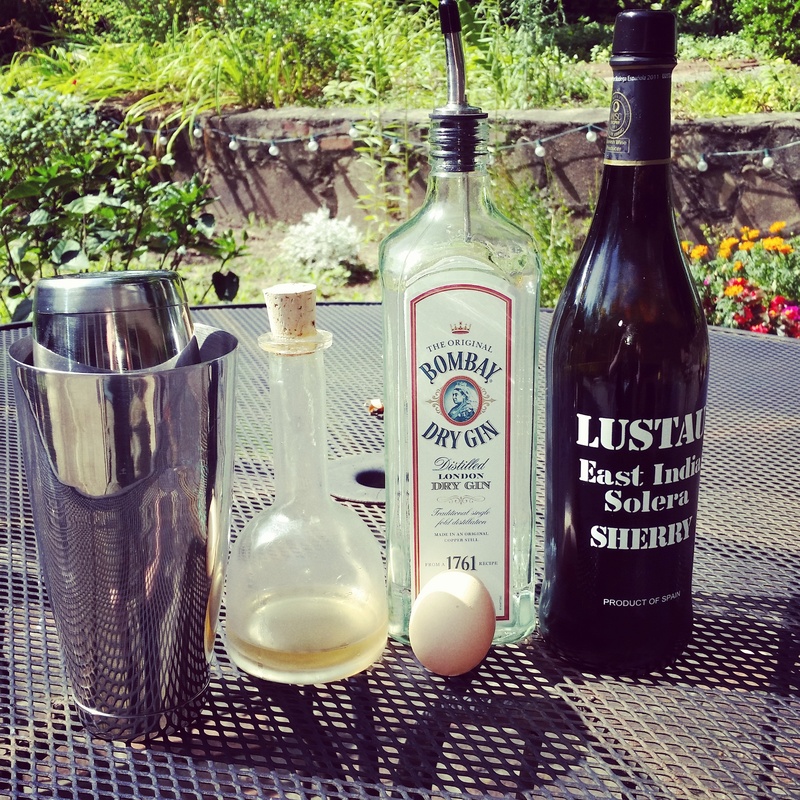 It would be preposterous if the eggs were cooked perhaps, but there is a long history of eggs in cocktails. 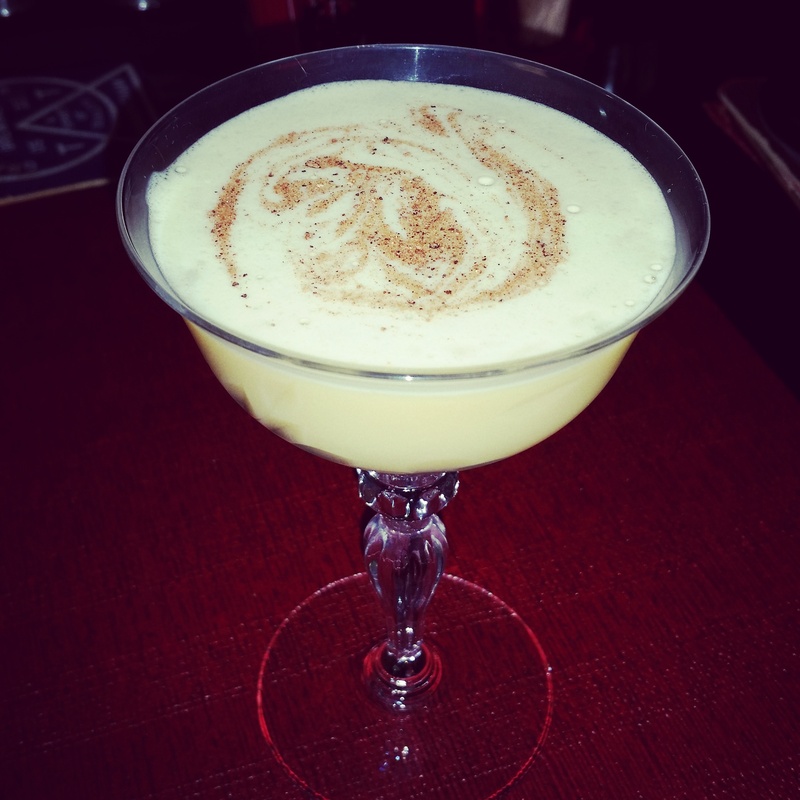 Lots of drinks, like whiskey sours, combine egg white with citrus to provide a frothy, creamy texture. When you use the whole egg, it’s called a “flip,” variations of which go back to the 16th century. Flips are mentioned in some of the works of Dickens. Jerry Thomas, in 1887, said that a flip “gives strength to delicate people.” Well, I was feeling a little delicate earlier this morning, and now I’m feeling as strong as a race horse. Of course, there is always some risk in consuming raw eggs. That’s our disclaimer. However, if you know where your eggs come from, that’s half the battle. We get farm fresh, free-range, hormone-free eggs every week from our CSA, and I try to pull out the smallest ones for cocktails. Put all the ingredients in a shaker and shake for 30 seconds with NO ICE. This will make it fluffy. Add ice and shake again. Strain into a cocktail glass. Garnish with fresh-grated nutmeg. A note on sherry: There are many varieties of sherry and also great disparity in quality. We picked solera sherry for this drink because it has a sweet, but not too sweet, nutty flavor that we enjoy. A Corpse Reviver is more of a family of drinks than an actual drink. As a category, it includes any of many cocktails that have been used over the decades as a hangover cure or eye-opener, such as the Bloody Mary, the Michelada, and tiki favorites like the Zombie. The name Corpse Reviver goes back to the mid-1800s, but the most famous recipes that go by that moniker are the two that appear in Harry Craddock’s 1930 bar manual, The Savoy Cocktail Book. Craddock’s recipe for the Corpse Reviver #1 uses 1.5 ounces of brandy or cognac, .75 ounces of calvados, and .75 ounces of sweet vermouth. All the ingredients are shaken over ice and strained into a glass. Calvados—a type of apple brandy made in Bordeaux, France—is what makes it interesting. There are a couple of brands available in Alabama and a few other varieties that you can find in neighboring states (not that we condone bootlegging liquor across state lines, of course). If you can’t find calvados, Laird’s Applejack can be subbed to provide apple flavor, but it will be slightly different animal. While they are similar products, calvados is more subtle. Applejack, though technically also an apple brandy, drinks more like a whiskey. For the cognac, we’re not partial to a brand, but wouldn’t use anything except VSOP or XO. It’s a very tasty drink, but the Corpse Reviver #2 seems to show up more often on modern menus. 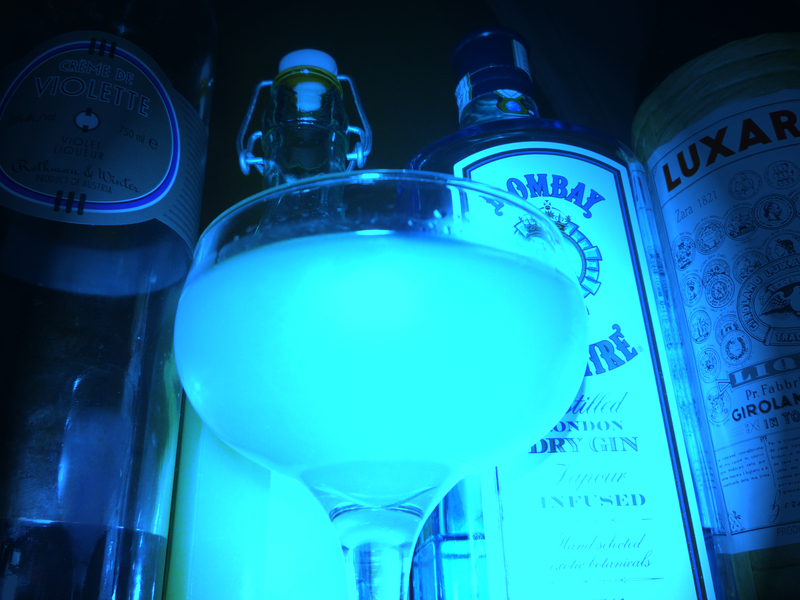 It uses equal parts of gin, lemon juice, Cointreau, and Lillet Blanc, with a wash of absinthe in the glass. The original recipe calls for Kina Lillet instead of Lillet Blanc, but that product is no longer made, and most people seem to think Lillet Blanc is a reasonable substitute. Cointreau is mentioned by name in the book, but any dry curacao liqueur will work. The Pierre Ferrand dry curacao seems to be gaining currency of late. 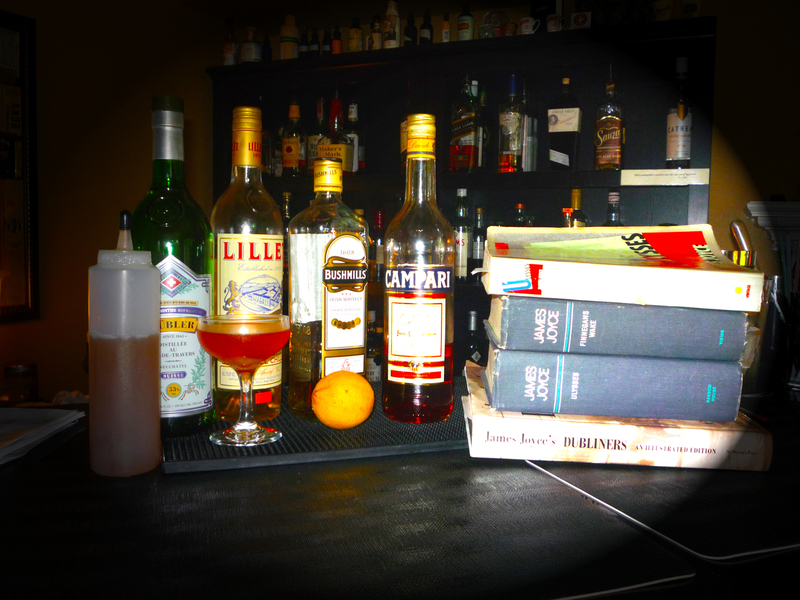 In The Bartender’s Bible from 1991, Gary Regan lists a drink called the Corpse Reviver that has 1.5 ounces of brandy, 1 ounce of white crème de menthe, and .5 ounces of Fernet Branca. Brave souls that we are, we have tried this and found it not altogether horrible. In fact, we are drinking one right now. If, for some reason, you have white crème de menthe at your house, this is a decent way to get rid of some of it. Top it off with a lemon twist if you’re feeling fancy. It’s really a slightly more drinkable variation on an old-style highball called a Stinger, which just uses the brandy and crème de menthe. The bitterness of Fernet helps to balance it out and make the crème de menthe less cloying. 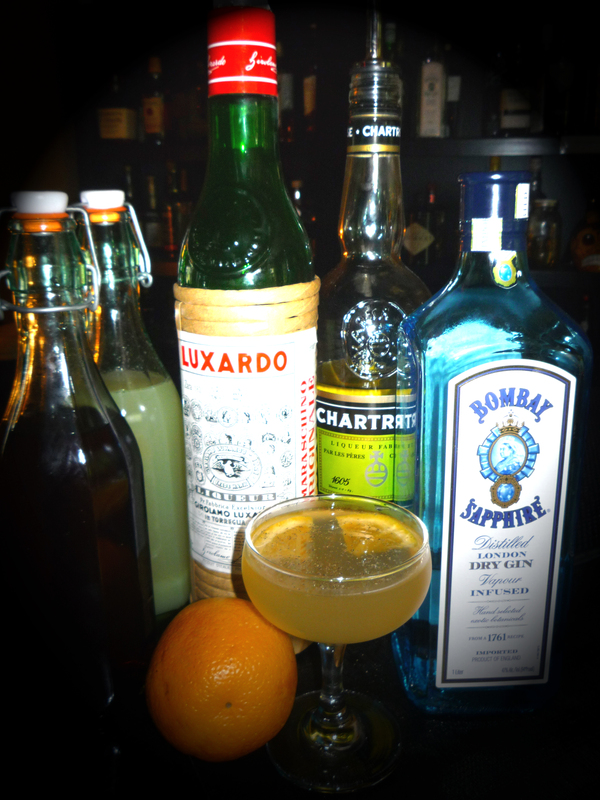 The internets contain a plethora of recipes laying claim to the name of Corpse Reviver #3. Some are variations on Regan’s recipe. Others are similar to the recipe for Corpse Reviver #2 but with some kind of substitute. For example, we found one that subs Swedish Punsch for Lillet (a terrible idea, if you ask us). Another uses lime juice instead of lemon. Still another uses brandy, Campari, triple sec, and lemon juice. There seems to be no limit. The lesson here is: It’s fine to come up with your own corpse reviver recipe, but please PLEASE come up with an original name for it. Mix 1 cup of sugar, 1 cup of water, and 1 tablespoon of black peppercorns in a saucepan. Stir over medium heat until all the sugar dissolves. Turn the heat to low and let it simmer another 5-10 minutes, and then take it off the heat. When the mixture cools, strain out the peppercorns using cheesecloth or a mesh strainer and then bottle. This syrup makes a wonderful spicy addition to almost any cocktail that would normally include regular simple syrup. We started with the most basic cocktail of them all, the Old Fashioned. Build in a rocks glass and fill with ice. Shake and strain into a cocktail glass. You can see how versatile this is. Try subbing lemon or lime in any of these drinks. Throw in a splash of fresh grapefruit or orange juice if you have it handy. For our final black pepper trick, may we introduce “Secrets of Eve.” Whiskey Girl and I happen to have a fig tree in our back yard, so it’s a virtual fig-topia around here. We’ve made a lot of cool things with the figs, including entrees, desserts, and drinks. But the majority of the stock has gone into fig preserves, which we make with sugar, lemon, and fresh ginger. We were snacking on our first jar of fig preserves and quickly came to the end, but there was still a lot of delicious reserve liquid remaining in the jar. What do you suppose we did with that? Shake with ice and pour into a large rocks glass. 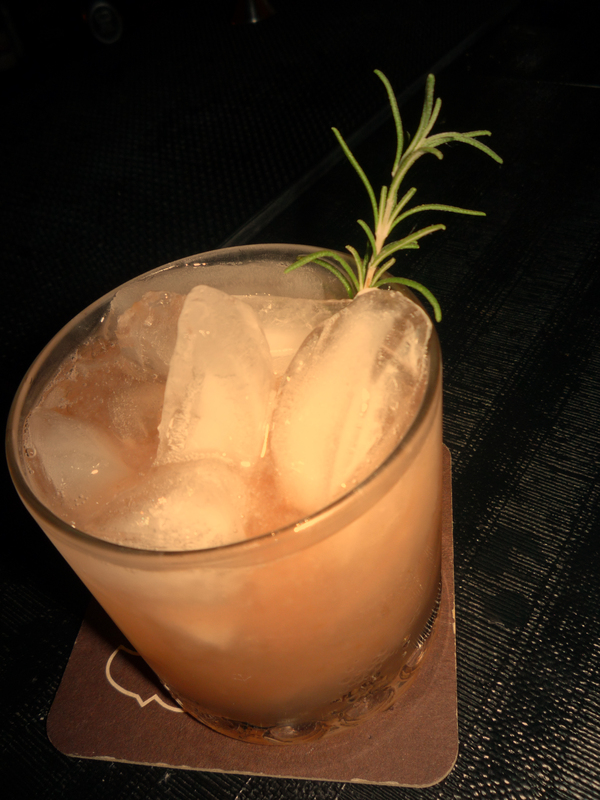 Garnish with a fresh sprig of rosemary. The storied history of the rise, fall, and restoration of the Aviation cocktail is one of mystery and misfortune. Legend says that it was first made in 1908, the same year that the Wright Brothers took their first passenger up in the air. Its invention is attributed to Hugo Ensslin, a bartender at New York’s Hotel Wallick, who published the recipe in 1916. The drink was reportedly named in honor of the increasingly popular activity in the skies, represented by the drink’s pale blue color. However, by the end of the 1920s, the ingredient that gave it that sky blue hue, crème de violette, was not being produced commercially anymore. The Aviation cocktail, being one of its only uses, was apparently not quite popular enough to keep the violet liqueur in demand. In 1930, the wildly popular Savoy Cocktail Book printed a recipe for the Aviation that simply omitted the crème de violette. From there, things got weird. During the many decades when crème de violette was absent from the market, some tried to use other blue liqueurs such as creme Yvette, parfait d’amour, and even (blech) blue curacao as a substitute. Although the color was close, the flavor profile was not there. 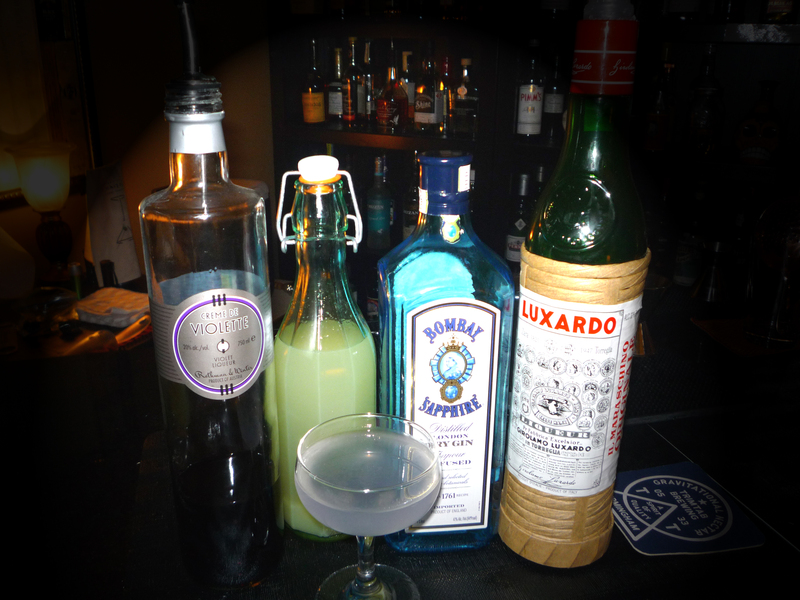 Fortunately, in 2007, the Rothman & Winter company began importing crème de violette into the U.S. and the original Aviation once again became available, and a few years later, any bartender worth his bitters has it in his repertoire. Shake with ice and strain into a coupe. As long as you are investing in that crème de violette, here are a few other things you can do with it. One popular variation on the Aviation is the Blue Moon cocktail, which simply omits the maraschino. Another is the Moonlight cocktail, which uses lime juice instead of lemon and Cointreau instead of maraschino. The Jupiter adds a little fresh-squeezed orange juice to the classic Aviation recipe. You can also sip the liqueur by itself over ice, but it won’t be to everyone’s taste. Jack Wyrick, formerly of Octane and Collins Bar, is the inventor of the Georgia, which won Birmingham’s local final in the GQ/Bombay Sapphire “Most Imaginative Bartender” competition. As a result, Jack will be headed to Las Vegas in September to compete nationally. She has generously shared her recipe with us here. Unfortunately for us, Jack is no longer working in Birmingham. If you want to try her other cocktails, you”ll have to track her down in Nashville where she is will reportedly be working at the Patterson House and other fine establishments. 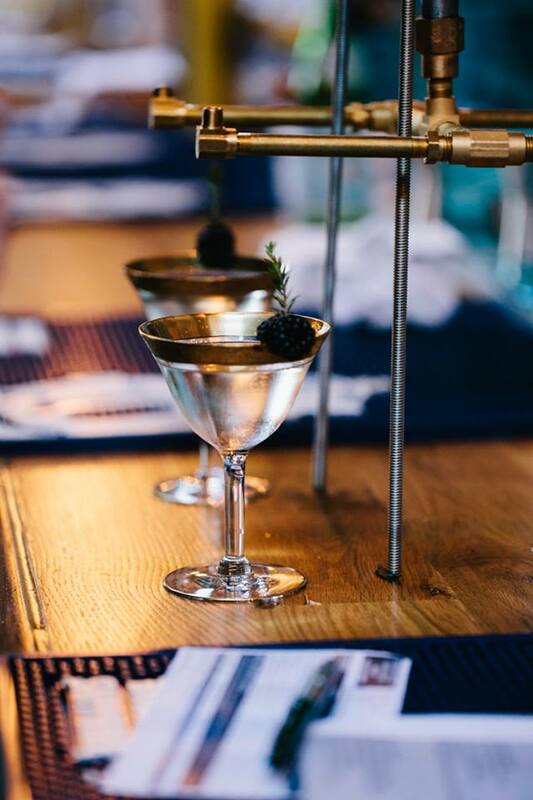 The Georgia is a refreshing take on a classic Martini or Vesper, adding in Salers bitter apertif to give the drink more body and bite. Stir with strip of lemon peel, being careful to avoid pith when peeling. Strain into coupe. Atomize Leyland-Cypress-infused orange bitters on to surface of cocktail. Garnish with a blackberry and spruce tip. 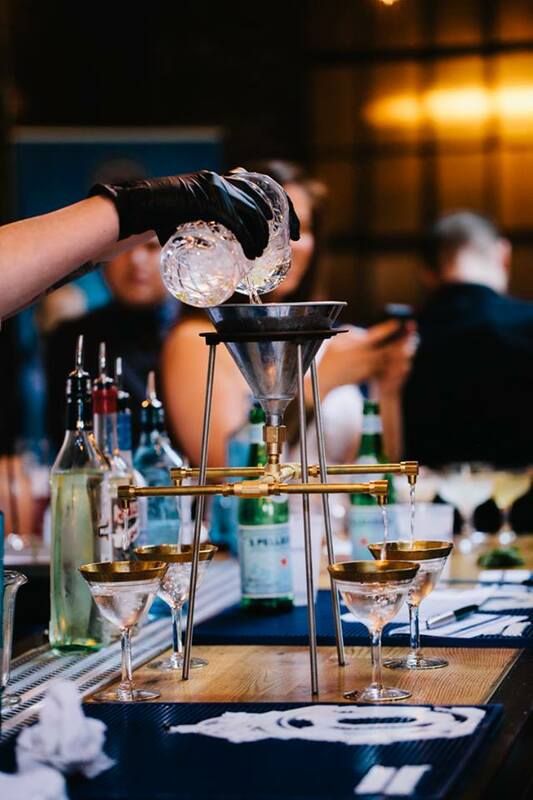 This week saw the local final in Birmingham for GQ/Bombay Sapphire’s Most Imaginative Bartender competition for 2014. The winner, Jack Wyrick, will go to Las Vegas in September to compete nationally. We took part in the competition ourselves, and though we didn’t win, we thought we made a pretty good showing. In the coming days, we hope to share recipes from some of the other participants, but today, we’ll give you our own concoction invented for the contest: The Bengal Tiger. We began our brainstorming with a classic called the Aviation. One thing we have always liked about an Aviation is the velvety texture that the maraschino provides, balanced with the floral notes of the gin and violet. We wanted to create something that had a similar mouth feel and floral qualities but with more complexity, so we started by substituting Yellow Chartreuse for the Crème de Violette. For additional herbal punch, we added a few drops of a fennel seed tincture. We’ve been getting fennel from our local CSA this summer, and we’ve really enjoyed experimenting with this versatile and flavorful herb. The star of this drink is black pepper. Although regular Bombay Sapphire doesn’t include peppercorns among its botanicals, its sister product Sapphire East does include them. So we knew pepper would play well with the essential Sapphire flavor profile. We made a peppercorn syrup because the extra spice required a little extra sweetness for balance. Bombay Sapphire has a higher proof than other gins in the Bombay family, which helps it stand up to all these bold flavors. We added the orange slice and additional fresh ground pepper as a garnish mainly for the colors. We named this drink the Bengal Tiger because of the yellow and black colors or the drink and because it has a serious bite. In addition, South India, including the region of Bengal, is one of the areas where black pepper is native. 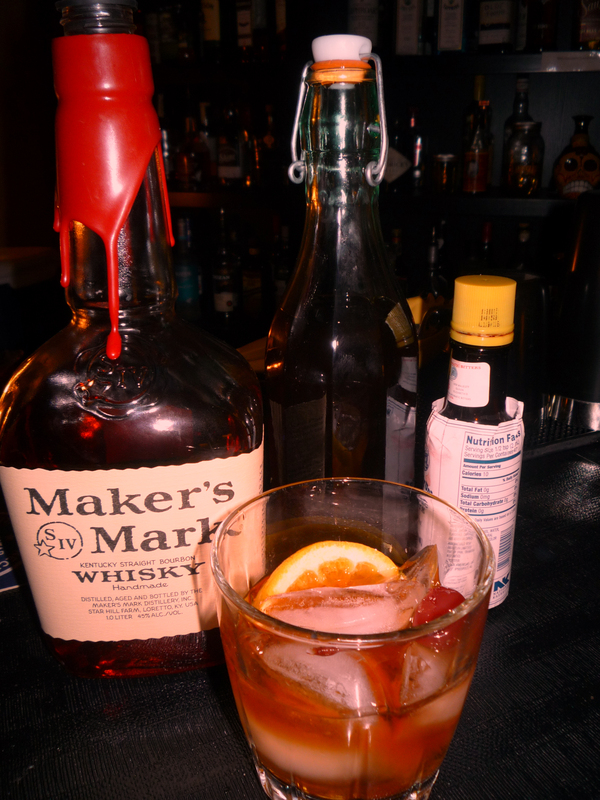 To make this drink, there are a couple of things you have to make first, but we think it’s worth the work. Both the peppercorn syrup and the fennel tincture make good additions to a Bloody Mary, and we think there are plenty of other uses, which we’ll be exploring here in future posts. Add all ingredients to a saucepan over medium heat. Stir constantly until the sugar dissolves and you have a soft boil. Turn heat to low and let simmer an additional 5-10 minutes, then remove from the heat. After the mixture cools, strain out the peppercorns using cheesecloth and funnel into a bottle for storage. Add fennel seeds to vodka in a glass jar and keep in a cool, dry place. After 3-4 days, strain out the seeds. Funnel the mixture into a dropper bottle. Add all ingredients to a shaker 2/3 full of ice. Shake and strain into a coupe glass. Garnish with half an orange slice and fresh cracked pepper. If you want to be cute, cut the orange slice in quarters to make tiger ears. James Joyce’s celebrated novel Ulysses takes place in Dublin over the course of a single day–June 16, 1904. Thus, on June 16 of every year, scholars and literature lovers celebrate a holiday called Bloomsday, after the novel’s protagonist, the nebbish-y cuckold Leopold Bloom. Often these celebrations involve readings from the novel–sometimes readings of the entire novel, which can take upwards of 48 hours. In some cities, Bloomsday celebrations have included plays based on Joyce’s work, music, and other types of performances. Here in Birmingham, we saw it as a perfect occasion to bring together two of our passions, literature and cocktails. Joyce was known to imbibe, so that part is a no-brainer. If you search the internets, you will find recipes for a James Joyce cocktail that includes Irish whiskey, sweet vermouth, Cointreau, and lime juice. The proportions may vary from recipe to recipe, but we’ve never found one that tasted good to us. Basically, the lime juice doesn’t seem to make sense here. It simply doesn’t work. 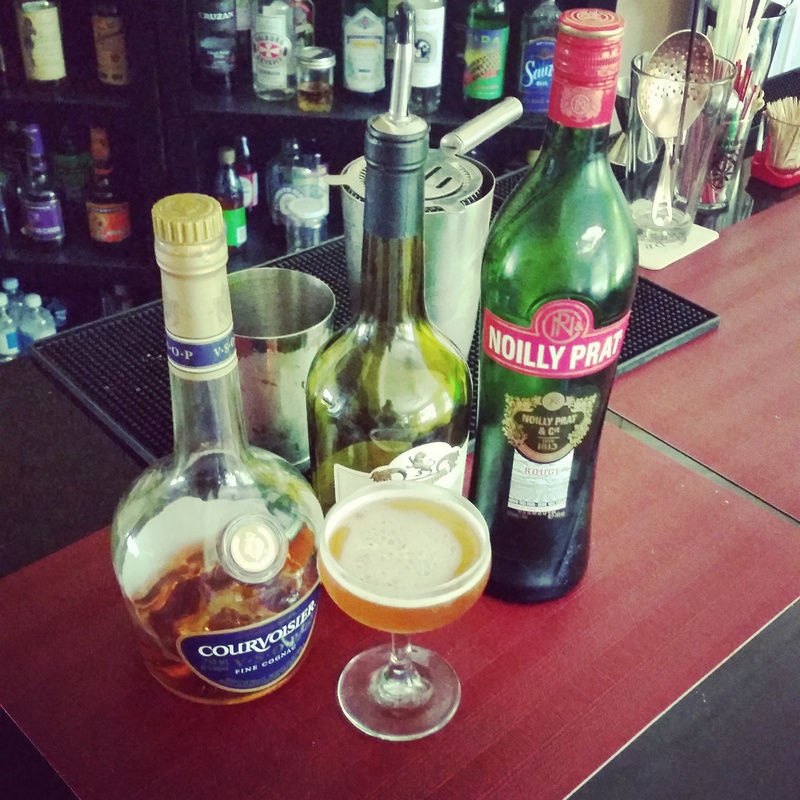 There are also numerous references online for a Ulysses cocktail. We’ve seen several completely different cocktails using this name, but the most common recipe includes equal parts cognac, dry vermouth, and cherry brandy. This is not bad, but we find it too sweet even with the dry vermouth. 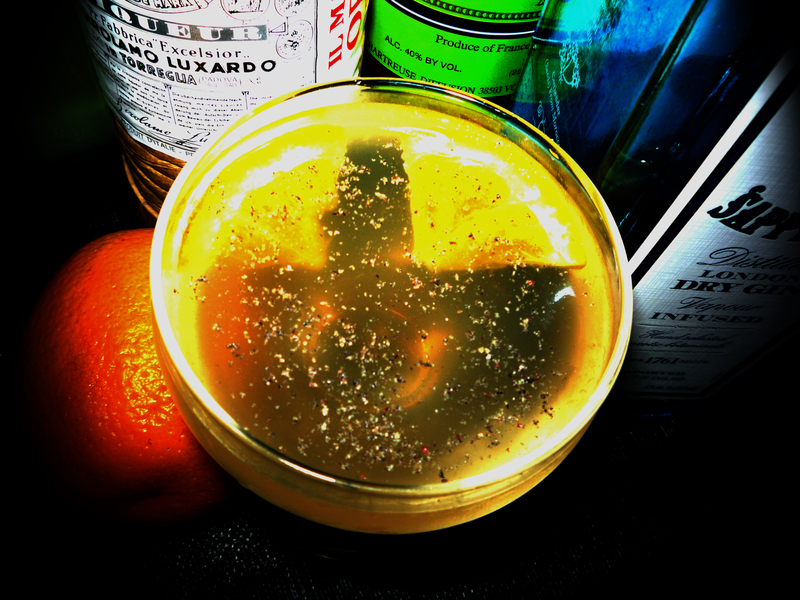 If you stretch your search to other works of Joyce, you might come across the Dubliner cocktail, which was invented by the great Gary Regan. This takes 2 oz Irish whiskey, 1/2 oz sweet vermouth, 1/2 oz Grand Marnier, and a dash of orange bitters (Regan’s brand, naturally). We like this cocktail, but it wasn’t going to make it as our official Bloomsday quaff. As a fairly pedestrian variation on a Manhattan, it just doesn’t have the pizzazz we were looking for. We had to make up our own. Enter the Molly Bloom. This is a cocktail that makes you say yes. Though Joyce’s fiction takes place in his native Dublin, he exiled himself from the Emerald Isle in 1904 and rarely returned. He spent his later years mainly in Zurich, but earlier he had taught English in Treist (now a part of Italy) and in Paris. Ireland, Italy, and France are all associated with some of our favorite alcoholic ingredients, and the Swiss happen to make our favorite brand of absinthe (Kübler). Therefore, we wanted to pay tribute to all of these aspects of Joyce’s life while also keeping in mind the complexity and variety of Ulysses itself. We like what we’ve come up with, and we’ve gotten positive responses from friends who tried it. We’ll be serving it at a Bloomsday event we are hosting this weekend (9 days early, we know, but there were scheduling difficulties). First–the base would obviously be Irish whiskey, but which one? There are, in fact, more choices than just Bushmill’s and Jameson, even with the limited options here in Alabama, but for the sake of brevity, we’ll concentrate on the two standards. Our choice based on flavor would be Bushmill’s because we like that earthy pot-stilled flavor. But that’s made in Northern Ireland, while Jameson is made in Dublin, whence our hero hails. What we would really like to use if we could get it here is Greenspot, an Irish whiskey that is pot-stilled AND made in Dublin. We are still going to go ahead and use the Bushmill’s, but if you want to try this at home, look into one of the premium Jameson styles like the 12-year instead of the regular. That will add to the complexity. For the French component, we chose Lillet Blanc. This is a categorized as a dry vermouth, but it has more herbal notes than a standard. This is a drinkable vermouth. We would even drink it by itself. Look for it in your finer grocery stores and wine shoppes. The Italian component is Campari, a bitter liqueur that we have talked up in the past. This gives the cocktail just the right amount of pucker. We added just a couple of drops of Kübler absinthe to round it out. Finally, to get the really sensual Molly Bloom yes from our drinkers, we made a honey syrup (equal parts honey and water). Stir in a mixing glass 2/3 full of ice to the desired level of dilution. Strain into a coupe and garnish with a bit of lemon peel.